Panasonic is proud to introduce three new interchangeable lenses based on the L-Mount system for the LUMIX S Series Full-frame Digital Single Lens Mirrorless Camera. The LUMIX S Series has been designed to revolutionise the world of the professional photographer, with cameras and lenses that introduce new capabilities and convenience to the full-frame world. Panasonic is committed to designing and developing 10 or more lenses by 2020, with a focus on “LUMIX S PRO” lenses and further expanding the S Series lens line-up. 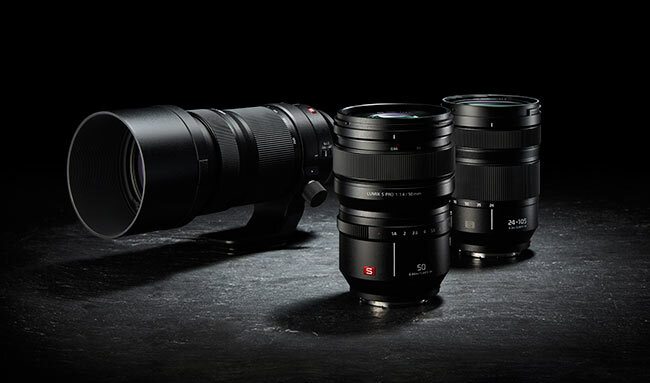 All interchangeable lenses in the LUMIX S Series provide high performance. Furthermore, the “LUMIX S PRO” lenses boast the ultimate optical performance, certified by LEICA for clearing stringent LEICA standards. In a full-frame first, the S-R70200 and S-R24105 lenses are compatible with LUMIX 5-Axis Dual I.S. 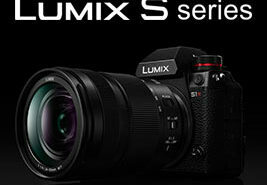 (Image Stabilisation) 2, which delivers powerful stabilisation when used with the new LUMIX S1R and S1. Dual I.S. 2 technology combines 5-axis internal stabilisation with the optical image stabilisation in selected lenses[i], and can support up to 6 stops[ii] of image stabilisation – enabling shooting still subjects handheld at much slower shutter speeds and ISO values. All three new lenses feature a rugged dust/splash-resistant[iii] design to withstand use under harsh conditions down to temperatures of -10 degrees Celsius. They will be available in Australia from April 2019. The S-X50 is a large-aperture fixed focal length lens that delivers impressive optical performance and versatile capabilities with its 50mm focal length and F1.4 high speed. It is the reference-quality model for the most discerning photographer, and sets a new benchmark in image quality for a lens of its type. A double focus system combining a linear motor and stepping motor achieves sensor drive at a maximum speed of 480 fps, and achieves fast, high-precision AF. A focus clutch mechanism enables instant AF/MF switching and accurate manual focusing. The LUMIX S PRO 50mm F1.4 also excels in video recording performance with a mechanism that suppresses focus breathing. Comprising 13 lenses in 11 groups, the use of 2 aspherical lenses and 3 ED (Extra-low Dispersion) lenses effectively suppresses both axial chromatic aberration and chromatic aberration of magnification, as well as correcting astigmatism. The filter diameter of the lens is 77mm, with an 11-blade circular aperture diaphragm. This telephoto zoom lens provides high-resolution, high-contrast images across the entire zoom range. It is a staple in any pro photographer’s kit, offering versatility in a wide range of applications from portraits to sports. The LUMIX 5-Axis Dual I.S. 2 system delivers powerful stabilisation performance to support handheld shooting at telephoto focal lengths. A high-precision linear motor achieves sensor drive at a maximum speed of 480 fps for fast auto focusing, while a focus clutch mechanism enables instant AF/MF switching and accurate manual focusing. 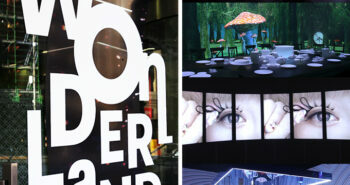 The lens also excels in video recording performance with a mechanism that suppresses focus breathing. The lens unit comprises 23 lenses in 17 groups, and the use of an aspherical lens and 3 ED (Extra-low Dispersion) lenses effectively suppresses both axial chromatic aberration and chromatic aberration of magnification. The filter diameter is 77mm, with a 9-blade circular aperture diaphragm. [i] 5-Axis Dual I.S. 2 can be used with the LUMIX S1R/S1 as of February 1, 2019. [ii] Based on the CIPA standard [Yaw/Pitch direction: focusing distance f=200mm] when LUMIX S1R is used. [iii] Dust and Splash Resistant. To avoid damage when using lens under these conditions, it must be used in accordance with the associated instructions in the manual.